Rugby is one of the most popular team sports played in Ireland. Both the Republic of Ireland and Northern Ireland have their own team, league and governing body for the game. After England and Scotland, Ireland was the third country to organize the game of rugby. Before rugby and modern-day football were adapted, Ireland was known for their folk football matches. These games were played differently by locals in each unique area of Ireland. Over the years, the game began to grow in popularity, finally becoming a national English sport in the late 19th century. Today, rugby is known as a middle-class sport that is enjoyed by both nationalists and unionists across the country. Rugby is even offered as a school sport in grammar, middle and high schools. 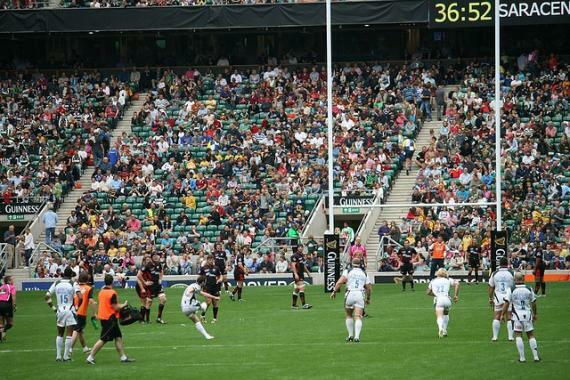 Rugby in Ireland has become increasingly more popular among the general public in the last few years. What was once known as a more elitist sport has now found it's way into the mainstream, gaining fans and working it's way into the hearts of the Irish. A study done in 2009 even showed that over 70% of the Irish population felt that Ireland winning their first Grand Slam since 1948 was one of the biggest sporting achievements in the country. What also has Irish rugby soaring in popularity is the success of sportsmen such as Brian O'Driscoll and Paul O'Connell. Each sportsman has captained the Lions team and has proven time and time again that they are some of the best rugby players in the entire world. There are several rugby teams in Ireland that are a part of the Rugby Union. The Ireland National Team is by far the most popular in the country. This team is considered to be in the first tier and one of the best ranking teams in the world. Another popular Irish rugby team are The Wolfhounds. The Wolfhounds are a second-level national team that are made up of younger talent. These sportsmen have a possible future on the national team one day. As one of the most popular team sports in Ireland, there are thousands of players who enjoy the game on a daily basis. In primary schools alone, there are over 32,209 children who play rugby. While there are around 21,740 adult male rugby players, there are only about 1,700 women who play. ©2019 - ireland-now.com All Rights Reserved.